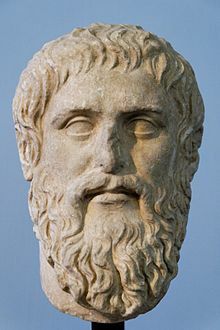 Plato (423 BC – 348 BC) was a Classical Greek philosopher, mathematician, student of Socrates, writer of philosophical dialogues, and founder of the Academy in Athens – the first institution of higher learning in the Western world. Along with his mentor, Socrates, and his student, Aristotle, Plato helped to lay the foundations of Western philosophy and science. Plato influenced a whole range of subjects from philosophy to maths, logic and ethics. The early life of Plato is only partially recorded, but he was born in an aristocratic family in Athens. This enabled him to gain a good education, where he soon impressed those around him with his speed of learning and clarity of thought. A key element of Plato’s writings is his frequent references to Socrates. Socrates appears in most of Plato’s writings, and it is clear that Socrates and his Socratic dialogues had a big influence on the young Plato. It is only through Plato, that we get a clear idea of Socrates’ philosophy and way of life. In ‘Apology of Socrates‘, Plato writes an account of Socrates defending himself in a trial which ultimately led to his own death. However, Plato was not merely transcribing the words of Socrates; he was also using his own interpretations and ideas to those which he learned from him. Plato wrote on a whole range of topics, but it is his ethics and general philosophy which seemed to be his biggest interest. 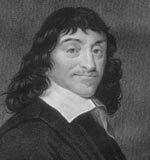 Plato wrote that he saw a distinction between the body (corporeal world) and the soul. He also saw a distinction between the imperfection of the material world and the highest ideals which transcend material imperfections. 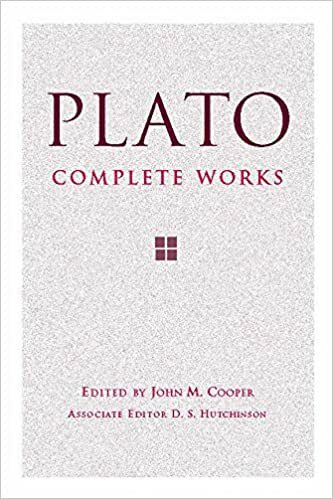 Plato felt that someone of a ‘philosophic mind’ could differentiate between outward limitations and the highest ideals of beauty, truth, unity and justice. It is a philosophy which hints at the limitations of the material and mental world and encourages an aspiration to higher ideals. He also mentions that the life we live is based on previous choices in either this incarnation of the soul or previous incarnations. Plato’s philosophy was also heavily influenced by Pythagoras, especially his religious views on transmigration. In Politics, Plato developed the idea of a ‘Philosopher King’ someone who would be a wisdom lover and develop the necessary qualities to rule over his people with wisdom and justice. He makes the analogy to a ship’s captain or doctor. Someone who knows best what his patient needs. This made Plato a critic of the current Athenian system of democracy. Plato doesn’t write treatises, but writes in an indirect way, encouraging the reader to ask questions and think for himself. There is also signs of development and changes in thought, though some of this is due to uncertainty over whether letters ascribed to Plato, were actually written by him. But, like his teacher Socrates, Plato is often happy to play the role of observer rather than a preacher. Citation: Pettinger, Tejvan. “Biography of Plato”, Oxford, UK. www.biographyonline.net, Originally published 26 February 2012. Updated 12 January 2018. Famous Philosophers – Some of the world’s greatest philosophers, including Socrates, Plato, Descartes, Kant, Spinoza and David Hume. 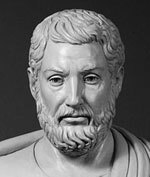 Ancient Greeks (8th Century BCE to 1 CE) Famous people of the classical Greek period. Poets, statesmen and the fore-runners of democracy. Includes Plato, Aristotle, Socrates and Hippocrates.